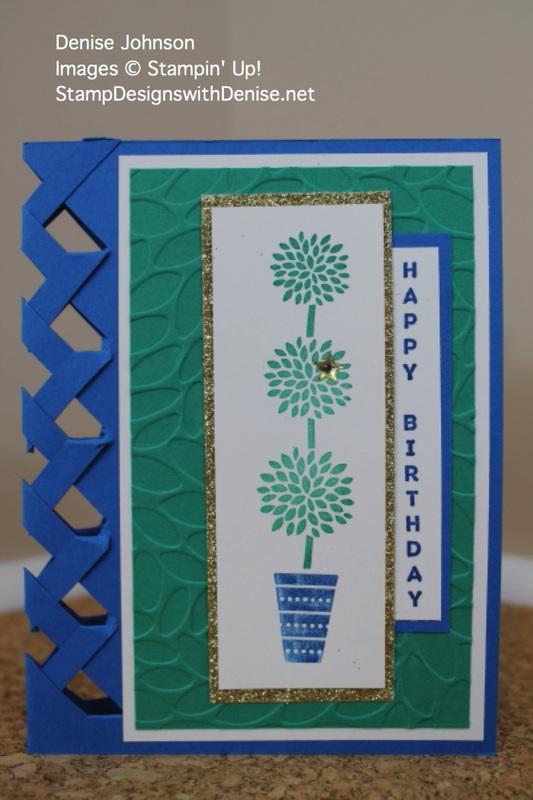 I recently made this card with my monthly Stamp Club. They loved the colors together and the gold glimmer paper really adds a pop of glitter. 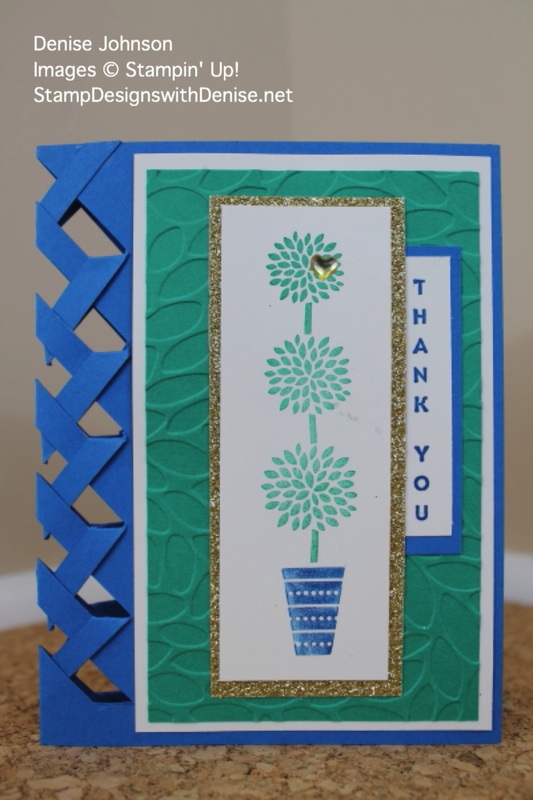 The directions for the Lattice Fold were found on the Barbstamps.com page. 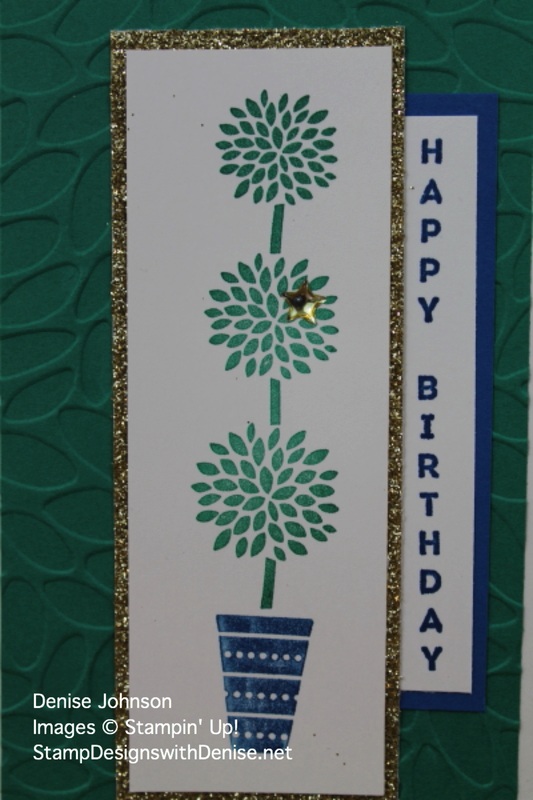 Here is a link to the template: Lattice Fold Template The Vertical Greetings stamp set has 3 different topiary trees and 6 different vertical greetings. It is a fun stamp set.